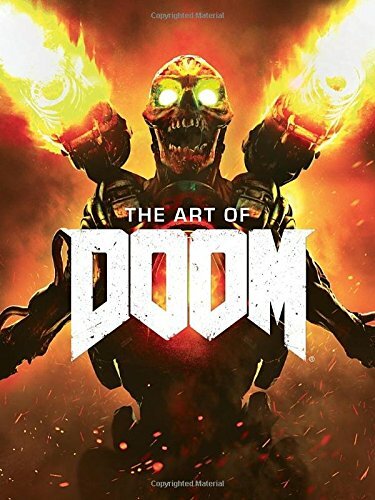 This artbook should delight fans of DOOM for the all the beautiful concept artworks included. The book focuses on character, creature designs, and environment art. The pages are filled with variations of creature designs, coloured or in sketches or in 3D rendered form. Each character or creature is given proper full colour treatment and even for the sketches, they are drawn really clearly with well defined forms. The environment artworks are awesome too. There are those printed across two pages while others are smaller but still big enough for you to see the details. If you like the art from games like Alien: Isolation, Halo, Mass Effect or basically all those sci fi shooter games, then chances are you'll like this book as well. The rest of the artworks are of weapons, props and vehicles. As for the text, they are short paragraphs providing background stories to the characters, locations and weapons. It's a wonderful game art companion that gives you an idea of how much effort and detail the artists and developers have put into the game. I would recommend this to the fans and sci fi art lovers.